The CD you should already own is getting a new release. 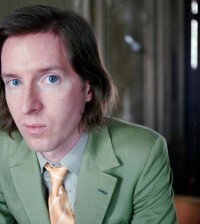 “I Saved Latin!,” the 24 song tribute album to Wes Anderson is coming to vinyl courtesy of American Laundromat Records. The album features dozens of artists covering songs from several Wes Anderson films including The Royal Tenenbaums, Rushmore,The Life Aquatic, Darjeeling Limited, Fantastic Mr. Fox, and Bottle Rocket. The vinyl release comes to you via a 180 gram black vinyl in a dual gatefold jacket with cover art by illustrator Lonny Unitus. However, the LP is a very limited release and only 1,000 copies are being sold. You can get the “I Saved Latin!” album on CD or pre-order the LP here.